What’s new in Microsoft Teams for September 2018? Enjoy working with Teams and the extended rich feature set. Do you want to try Microsoft Teams? You can now easily get Teams and evaluate some basic communication and collaboration features for up to 300 people. E.g. unlimited chat, search, 10 GB for storing your team data, 2 GB per person, audio/video meetings (P2P, multiparty), Office Online apps, third party apps and of course internal as well as external communication and collaboration. What’s new in Cisco Expressway 8.9? 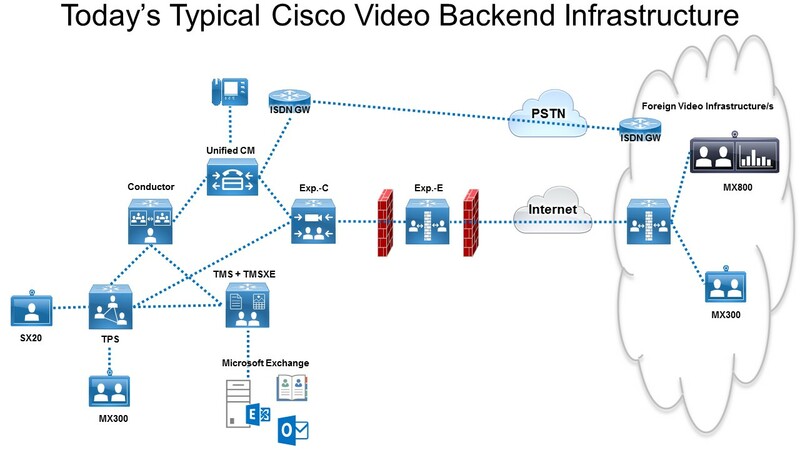 Cisco’s new version of Expressway brings some new features which especially support your video infrastructure in regards of interoperability based on former Acano Edge features. The Cisco Expressway 8.9 release notes are here: http://www.cisco.com/c/dam/en/us/td/docs/voice_ip_comm/expressway/release_note/Cisco-Expressway-Release-Note-X8-9.pdf and the Expressway 8.9 admin guide is there: http://www.cisco.com/c/dam/en/us/td/docs/voice_ip_comm/expressway/admin_guide/Cisco-Expressway-Administrator-Guide-X8-9.pdf. 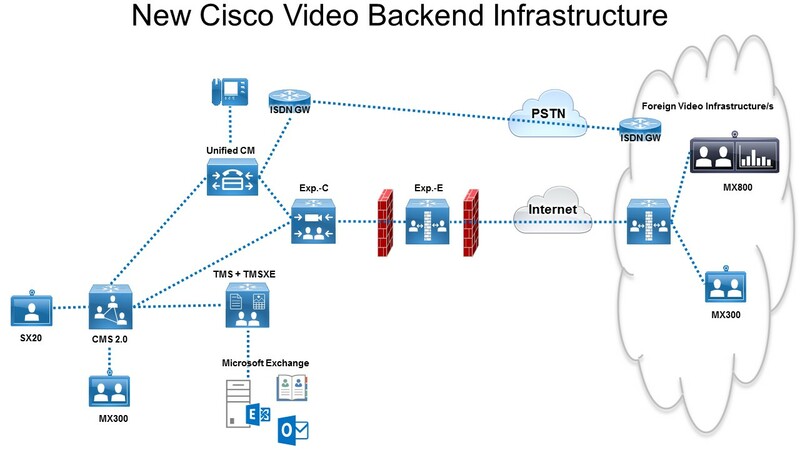 Recently Cisco made some changes for its video backend. The major changes are based on the acquisition of Acano which makes Cisco merging the technology portfolios together. For you as a customer, video backend operator or service user it brings you a more and more collaborative video solution. By the technology product merger old paths of pure video collaboration are left behind and abandoned. Yey!!!! 🙂 Still, you can have your high end video conferencing capabilities but new features and interoperability is added. Why not using them? * I would not recommend using (legacy) ISDN for video anymore. Go for sip-uri dialing and sip instead of ISDN… Try to get rid of ISDN quickly and train users to utilize sip-uri dialing. Or better, provide OBTP (one button to push). I.e. provide address book services via TMS/TMSXE which enable users to schedule meetings and rooms via their Outlook calendar to go into a room an just press one button to join a video conference (OBTP, one button to push feature). This is a much more convenient and pleasant user experience, isn’t it? Erm… just 1 component less? Kidding? Well, no, but CMS 2.0 provides massive interoperability for video collaboration. By leveraging your CMS 2.0 video architecture you have tremendous interop advantages compared to an typical and pure Cisco Video Conferencing infrastructure. You can make almost every video endpoint join a video conference!!! It does not really matter if this is a Skype for Business user/endpoint (pc, tablet, mobile, web browser), a Polycom video endpoint, a LifeSize video endpoint or any other sip-capable video endpoint. That’s really great folks! But wait before you run to upgrade or deploy you should analyse your enterprise business and collaboration stakeholder requirements first. … too avoid something like this the Acano Manager (still Acano) could provide you reporting on your video utilization so that you can add licenses/capacity as needed. CMS 2.0 is collaborative you can have also interactive session sharing desktop screens etc. What adds and fixes Skype for Business Server 2015 cumulative update 4? For further details please see KB. Download the latest cumulative update (CU) >>here<< and read KB article >>here<<. Microsoft released the preview of new service based on Office 365, called Teams. Take a look around, the web is already stuffed with loads of information about the new collaborative team service. Below I’ve put together some links pointing to contents about Microsoft Teams worth reading plus the official intro videos from Microsoft.